This is another one from South Carolina. Next trip I'll try to post them in a more timely fashion! 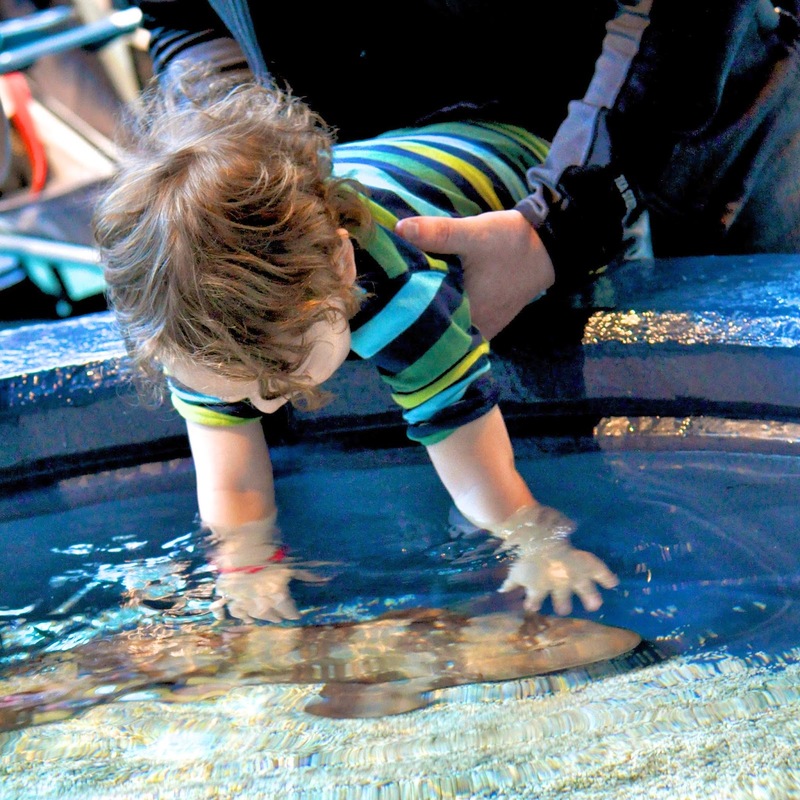 Merritt’s hands spread out like starfish, reaching to feel the shark pups as they swim by with their cat-tongue skins. His frantic excitement calls to us to hoist him up and over the edge of the touch pool and in the next breath demands to be put down, his body and limbs darting from one staging area to another in anticipation of where the little black one—his favorite—will be headed next. His expressed exhilaration of something wild moving through his fingertips is palpable, and familiar.